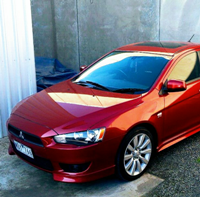 Hi all, I've decided to sell my 2016 Lancer, I had bought a 2nd hand sway bar with links, mounting brackets and bushes plus brand new Dorman lower rear control arms with sway bar mounts plus all required nuts and bolts. Selling for $250 or nearest offer. The sway bar maybe if you pick it up from a pull it yourself joint around $100 all up for the little bits and pieces?